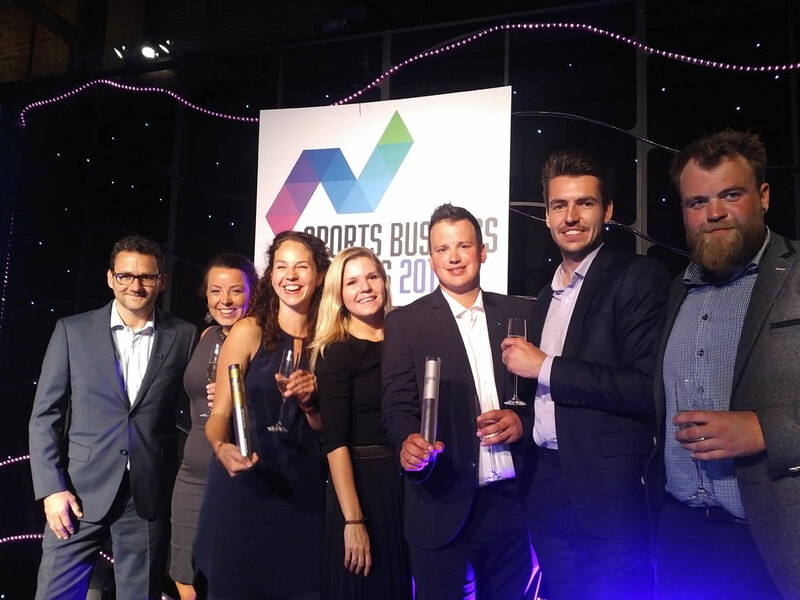 London, June 2, 2017 – MTD has won ‘Best Operations Team’ award at the Sports Business Awards 2017. MTD’s Operations Team at the 2016 Rio Olympic Games was nominated in two categories; ‘Best Operations Team’ and ‘Best Business Serving Sport (more than 20 employees)’. “We are extremely proud to receive this award” says Hans Verhoeven, Managing Director MTD Holding. The Sports Business Awards 2017 were conceived to celebrate the hard work and successes of individuals and teams who make sporting success possible; the organisers, suppliers, designers, administrators, advisors, technologists, marketers, and the many companies who ensure that the business of sport happens successfully. The judging panel is comprised of CEOs across all sports, alongside individuals whose knowledge, expertise, and experience give them a special insight into the challenges and demands of sports business success. Working directly for the Organizing Committee Rio2016, MTD installed more than 140 kilometres of pipe spread over 70 locations; competition and non-competition venues, and sponsor pavilions. The Operations Team consisted of 25 office staff and 75 technicians in the field in order to complete the job on time. MTD always aims works with as many local employees as possible and within this Operations Team more than 75% was Brazilian. MTD is honoured to have been awarded and would like to thank the Sports Business Award organisation, the judging panel, the Rio2016 Organising Committee. Moreover, MTD congratulates other nominees and winners. MTD is a 30 years experienced event service company specialized in temporary water infrastructure and treatment, based in Tilburg (the Netherlands), Basingstoke (England), Berlin, Paris, Moscow, Rio, Atlanta, Toronto and Seoul.